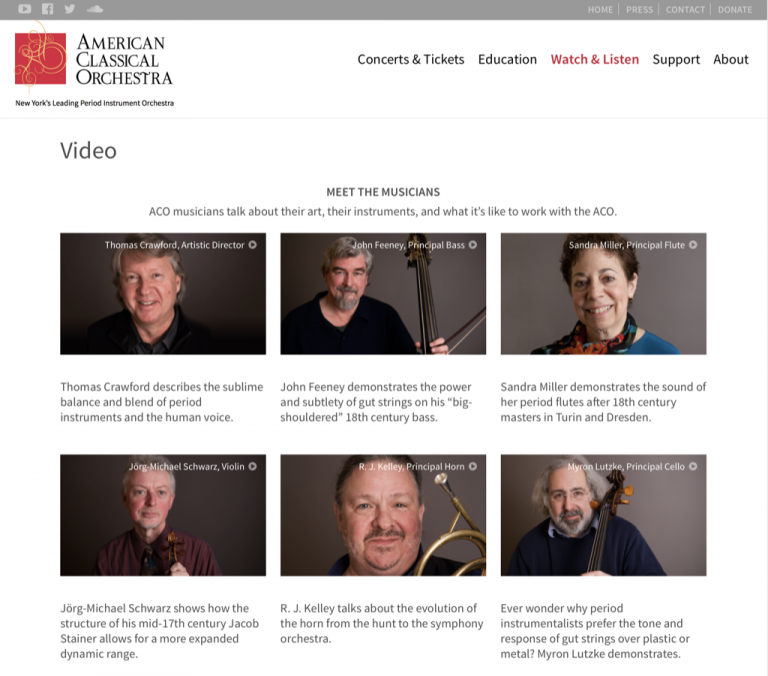 American Classical Orchestra (ACO NYC) is New York's leading period instrument orchestra. Performances can be attended at Lincoln Center, St. Ignatius of Antioch Church, and St. Michael’s Church Recital Hall. 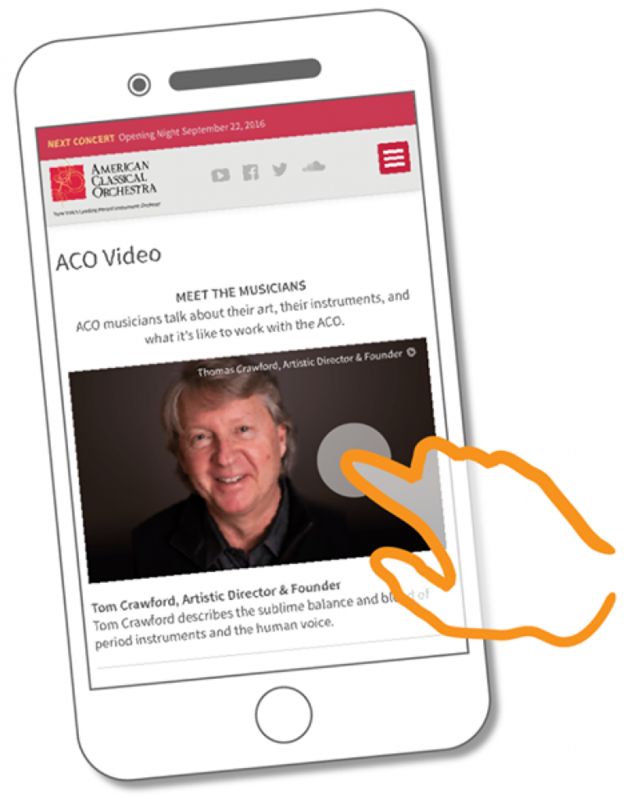 ACO hired me to provide a new modern website; a new responsive website with support for mobile, video, and Fevo ticket integration. I wanted to make the site as automated as possible so that the client can edit it and update it with ease. I set up the concerts and latest updates so that the client had to just enter the concert info and everything updates. 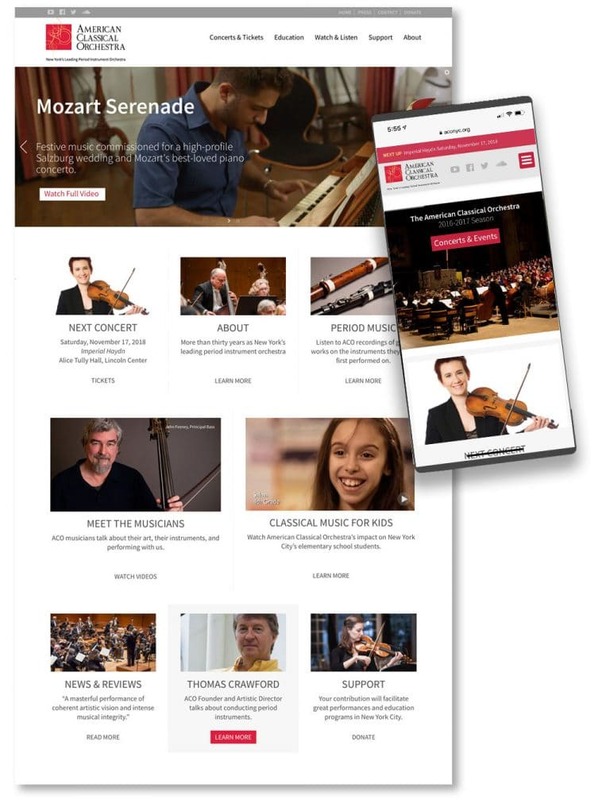 Site-wide update when a new concert is assigned. Older concerts and automatically archived. 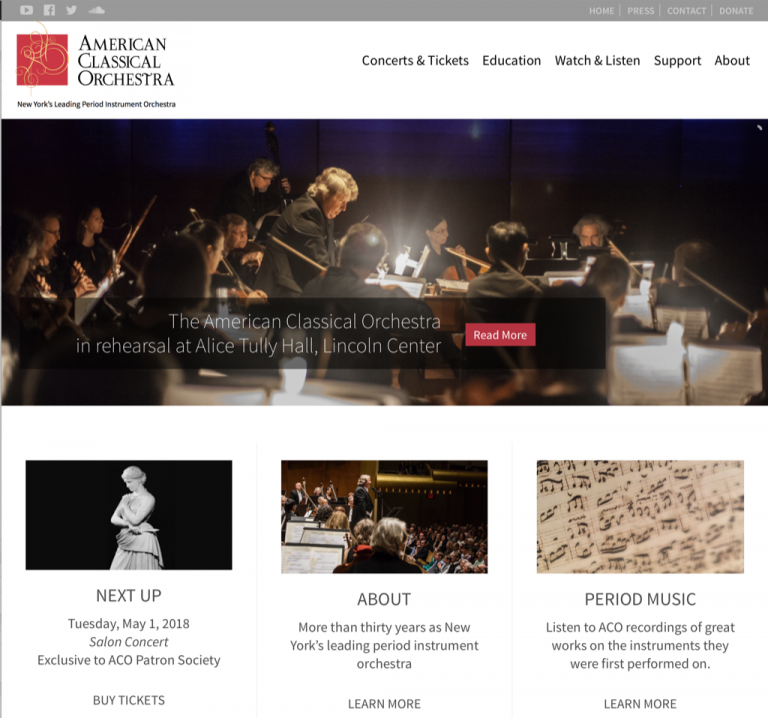 Each of the concert pages has several sections which allow for various types of content, from the program, ticket links, to video and image galleries. It was a pleasure working with such a talented and diverse group. After attending just one of their performances, I can truly say that I’m now a big fan of period instrument ensembles. 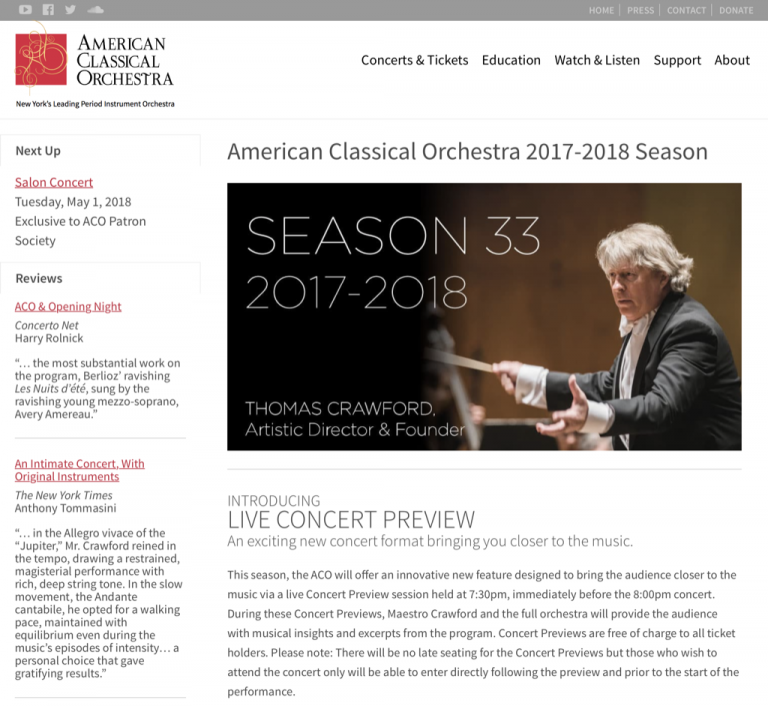 Please consider a subscription to this incredible season of concerts.